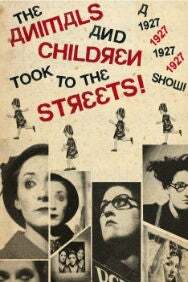 We do not curently have theatre tickets available for The Animals and Children Took to the Streets. This could be because we have simply sold out or it could be that this show is no longer running. The information on this page remains purely for historical and informational purposes. Like a graphic novel burst into life, 1927 invites you on a theatrical journey of startling originality. Seamlessly synchronising live music, performance and storytelling with stunning film and animation. and the wolf is always at the door. When Agnes Eaves and her daughter arrive late one night, does it signal hope in this hopeless place, or has the real horror only just begun?